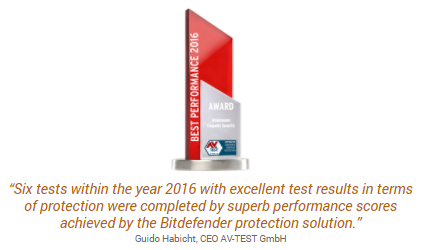 Using advanced behavior-based technologies, Bitdefender detected 99% of unknown threats in independent trials run by reputed independent testing organization, AV-Comparatives. Bitdefender also has two additional anti-ransomware defense layers – a blacklist of 2.8 million samples and rising, and a vaccine that can immunize devices against the encryption process. Inbound threats include malicious files (malware), a variety of fileless attacks, and hybrid threats that are both multi-stage and multi-component. Users can encounter threats in email, in file attachments, on websites, and elsewhere. As such, a layered approach employs the right control at the right time, relative to the stage of the attack chain and based on the threat vector and threat type, to maximize efficacy. Requisite controls include those that maintain system integrity via hardening, prevent both known and zero-day threats, automate remediation, and enable detection and response. To effectively protect you against highly sophisticated cyber attacks that evade conventional endpoint security tools, you need a layered defense approach with multi-stage signature-less technologies including advanced machine learning, behavioral analysis, anti-exploit and integrated sandbox. Comprehensive protection for desktops, servers, and mobile devices managed from a single console. Bitdefender security gives your business the advantage against every type of malware attack, and helps you avoid business disruption, loss of Intellectual property, exposure of customer information, and the resulting financial impact. You can protect workstations, servers, or mobile devices (available with the on-premise console). The number of servers should not exceed 35% of the total number of devices in the license. 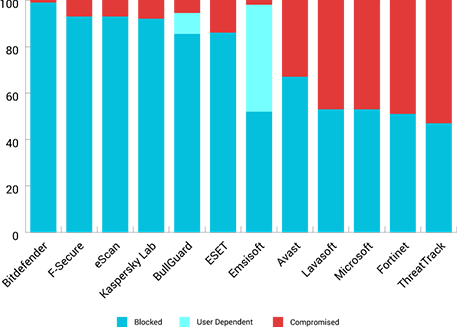 Bitdefender allows you to run up to 30% more virtual machines compared to traditional solutions by optimizing and centralizing scan tasks. Unlike solutions that rely on the VMware vShield driver, Bitdefender covers any virtual environment and provides load balancing capabilities, as well as memory and process scanning.. The scanning offload and the advanced caching mechanisms minimize resource consumption for virtual or physical machines. This allows you to save money by running more machines on the same infrastructure..
As with all our MSP solutions TEPSA engineers are certified GravityZone Support Engineers. Our highly trained engineers are always ready to provide technical assistance and answer your questions. Where necessary we even provide onsite support. A single agent—providing comprehensive endpoint protection. abilities including policy management, alerting, and reporting. Broad platform coverage—providing support for physical, virtual, or cloud-resident workstations, servers, and embedded or mobile endpoints running Windows, Linux, or MacOS. GravityZone also supports multiple virtualization hypervisors including VMWare, Citrix, Hyper-V, and Oracle. Security-as-a-service—provided as an on-premises virtual appliance or cloud-delivered. Cloud-based analytics—offloading analytics to cloud resources.